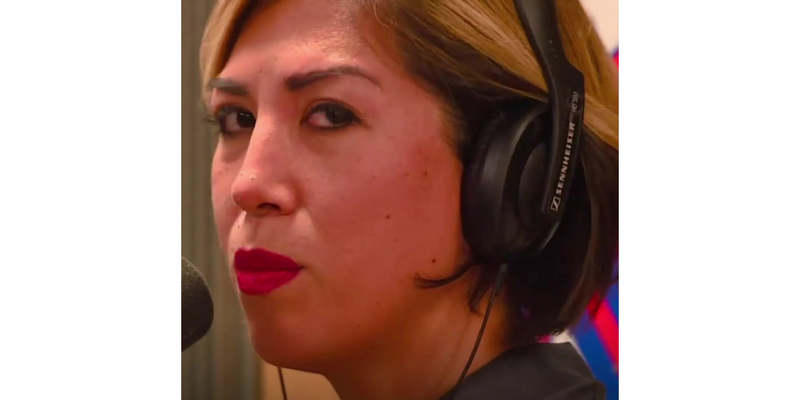 Over the past three days Democratic gubernatorial candidate Paulette Jordan has lashed out at the media and even some voters as questions continue about staff turmoil and questionable campaign finance dealings. 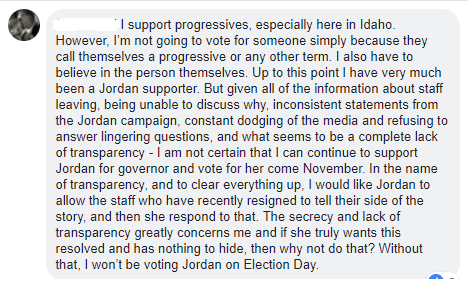 On Friday during an interview with 670 KBOI Radio’s Nate Shelman (recorded on video by KTVB-TV), Jordan referred to reports of problems on her campaign as “the same lies reported by one individual.” Jordan appeared to be speaking of a reporter for the Idaho Statesman who broke the story of Jordan’s three top staffers resigning and being made to sign non-disclosure agreements (NDAs), and the campaign coordinating with a federal political action committee (PAC). But Jordan didn’t stop at attacking the media. Over the weekend she went after two people on social media. “I’m not sure of the intent of your message other than to smear a good campaign… my team and I have been fully cooperative even when the line of professionalism was crossed formulating questionable actions lacking journalistic integrity…Yet, still, we’ve cooperated and expressed in length a response to your concerns, countering the accusations and lies with the truth. 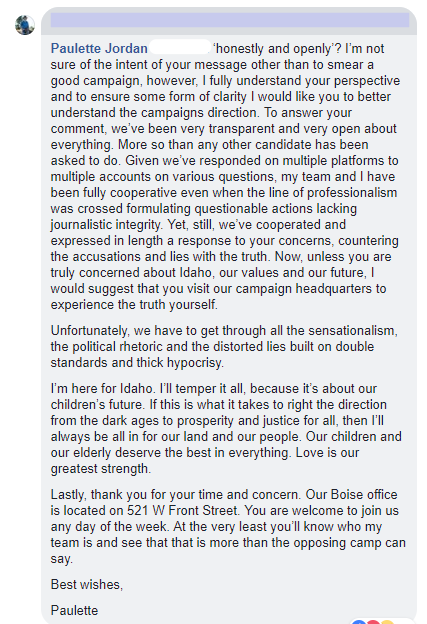 Now, unless you are truly concerned about Idaho, our values and our future, I would suggest that you visit our campaign headquarters to experience the truth yourself. 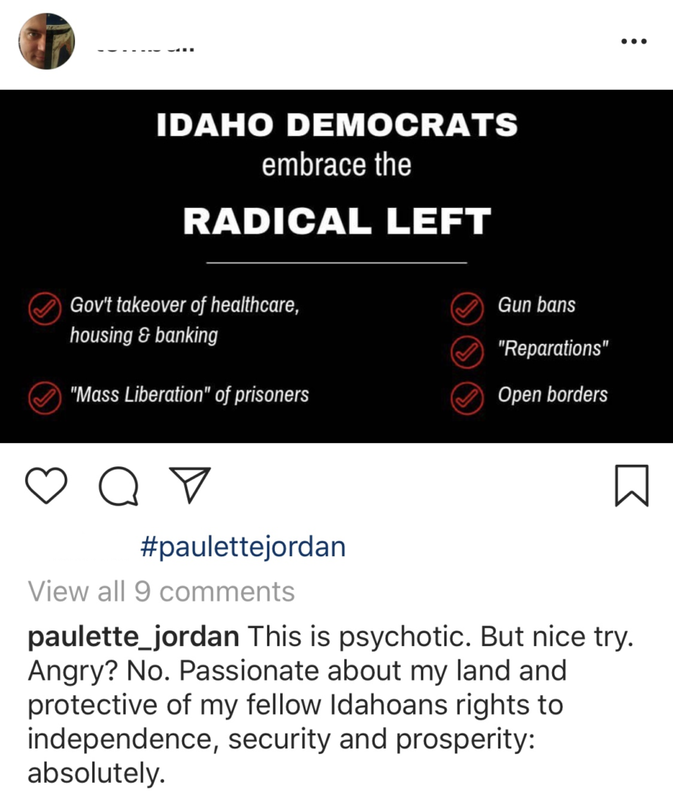 The Idaho Republican Party says Jordan’s attacks, on top of the serious questions and allegations about her campaign, raise doubts about how she would act as governor. Below are screenshots of Jordan’s social media comments. The names of the original poster on Instagram, and the commenter on Facebook, have been obscured. Links to both posts are in the body of this news release. 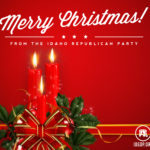 Merry Christmas from the Idaho Republican Party!